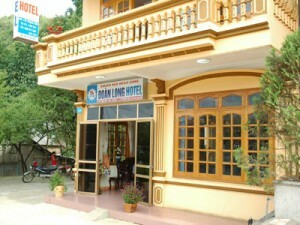 Doan Long Hotel is a family-run hotel has 16 rooms, located near the lake and thus, would be ideal for those who love walking around the lake. This hotel is located in a quiet place, which is very clean. This hotel was built in 2005, near a small forest area. The hotel is located in a quiet area, where you can taste the crisp mountain air of Sapa. It is also only 15 minutes walk to downtown Sapa. + Large room, nice view of the street, full of light and fresh air.